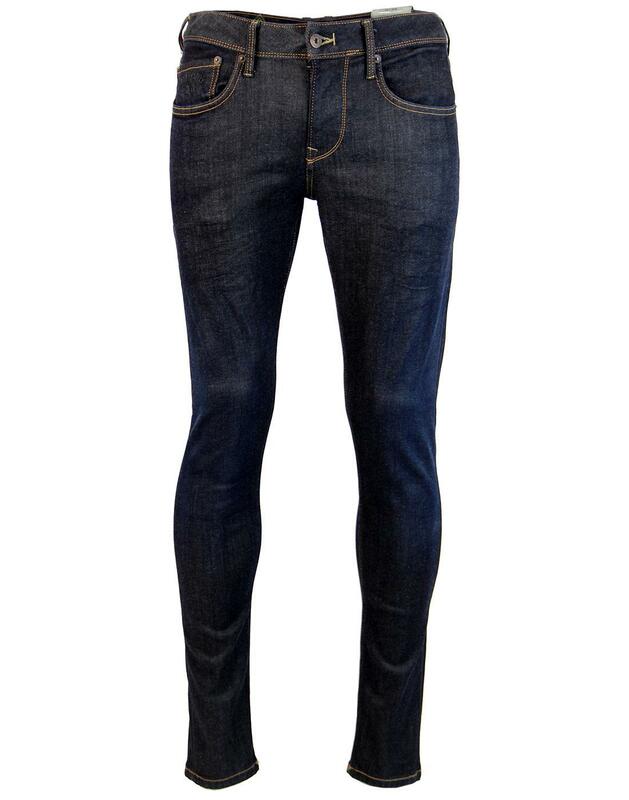 Pepe 'Finsbury' Mens Retro Dark Rinse Denim Skinny Jeans. Sure to add a dash of Indie style to your spring/summer ensemble, 'Finsbury' are fab Retro Drainpipe jeans with slim fit, low waist and slim leg. 'Finsbury' borrow from classic Sixties Mod Drainpipe styling, the contrast stitch serving to enhance the clean and classic look. 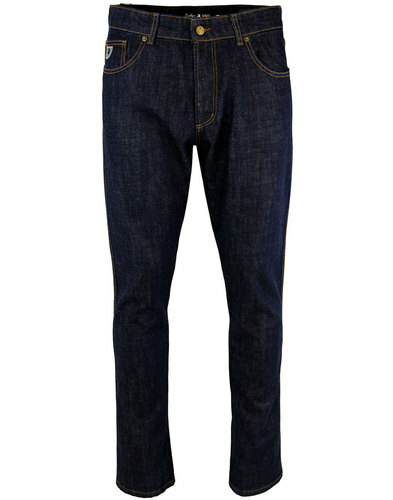 'Finsbury' Men's Denim Drainpipe Jeans by Pepe Jeans London are the very epitome of Retro style. Pepe Jeans London 'Finsbury' Men's Mod dark blue denim jeans. Incorporating that essential Indie look, contrast gold stitching, clean back pocket finish and slanted side belt loops manage to fuse traditional Mod style with a contemporary edge. Pepe Jeans London branded back waistband detail and Union Jack snap branding to back pocket. 5 pocket Western style, Mod skinny drainpipe fit. Low waist and slim fit. Cool Retro contrast stitch and nice back pocket detail. Pepe Jeans London embroidered signature to coin pocket. 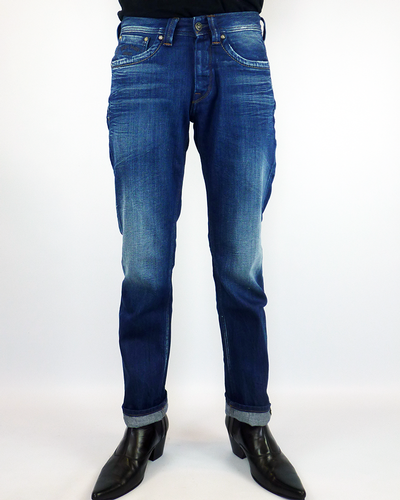 Finsbury Mens Skinny Drainpipe Jeans by Pepe Jeans London. Look great worn as turn ups for that casual Mod vibe. A hint of stretch for comfort. A hint of deliberate creasing to the legs. 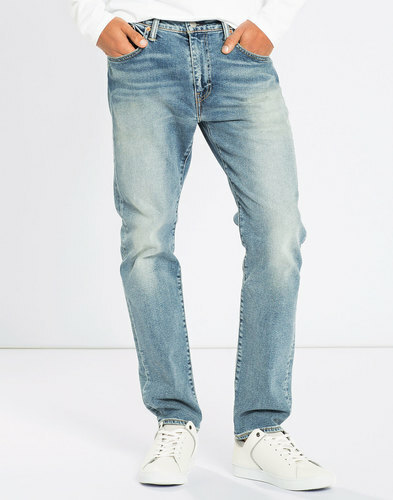 Key Points: Pepe Jeans 'Finsbury' dark denim jeans. Skinny fit, low waist, slim leg jeans. Composition: 87% Cotton, 9% Polyester 4% Elastane. Interior Details: 65% Polyester, 35% Cotton. 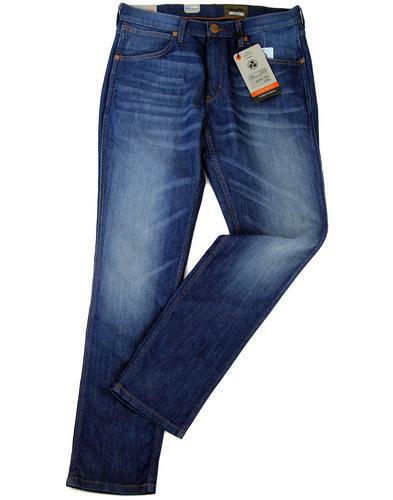 SKU: PM200338Z06 Finsbury Z06 Skinny Jeans.